Prayer Service at 6:30pm at the funeral home. Visitation time 10-11am at the church. Luncheon following service at Jac's Cekola's Pizza, 7640 S. Westnedge Avenue, Portage, MI 49024. Committal Service at the cemetery with lunch to follow at Royal Palace, 6254 W 111th St, Chicago Ridge, IL 60415. Checks may be made Payable To Colleen Roemer. All who knew Patricia McEneany would agree that she was an extraordinary woman to know and love. She was selfless in every way, and she lived her life to love others in ways both great and small. It has been said that Pat made classiness seem effortless, and she was the most incredible hostess anyone could ever meet. She treasured her roles as a wife and mother, but she just might have argued that nothing was better than becoming a grandmother seven times over. Pat could take the ordinary and make it extraordinary, and her strength and courage in even the most trying of circumstances was truly inspiring. Deeply loved, she will never be forgotten. Despite the challenging days of the Great Depression during the 1930s, Frank and Mary (Nolan) Kane were able to shift their focus to a joyous time in their own lives as they announced the birth of the baby girl they named Patricia Ann on January 24, 1932, in Chicago, Illinois. 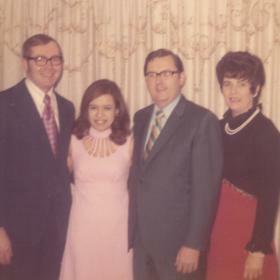 She was the third daughter in her family and was raised alongside her sisters, Dorothy and Eileen, and her brother, Jim. As a young girl Pat loved riding her bike, and her mother encouraged her to hone in on her artistic talents. From the time she was a child, she was very skilled in oil painting and as an adult, tried her hand at ceramics for a time. She attended school and church at Mary Queen of Heaven in Cicero, Illinois, and then went on to St. Mary’s High School of Chicago. Pat then went on to graduate from high school in 1950. Life was forever changed for Pat when she became better acquainted with her brother’s best friend, Jim McEneany. Although she had known him for 16 years, things changed between them when they attended a wedding together after Pat’s mother died. A whirlwind courtship ensued, and with a desire to spend the rest of their lives together Pat and Jim were married in St. Odilo Catholic Church in Berwyn, Illinois. After a honeymoon in the Bahamas, the newlyweds returned to the area and settled into their first home in N. Riverside, Illinois. This is where they welcomed their two children, Colleen in 1974 and Kevin in 1975. In 1977, their growing family moved to a home in Lisle. As her family and friends can attest, Pat was always busy. She worked with Jim on his family’s rental properties while also keeping things running smoothly at home. Pat’s home was meticulously kept, and having a home that was warm, welcoming, and inviting was her primary focus. There was never a speck of dust to be found, and she had money-saving skills that were unmatched. Because money was tight, Pat made home cooked meals every night except for Fridays when they ordered pizza from Barones, driving the seven minutes into downtown Lisle to pick it up; this was a weekly treat everyone looked forward to! Christmas Day was spent with extended family but Christmas Eve was just for Jim and Pat and their kids. Shrimp cocktail was their special Christmas Eve treat every year, and the entire night was fancied up as though they were expecting celebrities. The four of them hung out and watched "It’s a Wonderful Life", and the kids got to stay up late. They took a few vacations but the best memories were made in their favorite place, Delavan Lake in Wisconsin, when they packed everyone into the station wagon. Pat had everything packed and ready to go including all the food! Birthdays were special times, too, and she did all the cooking and decorating when they celebrated once with family and then had a second party for the kids and their friends. Everyone always wore costumes for Kevin’s birthday parties since his birthday was so close to Halloween. Everything was always so classy, but Pat managed to do it all on a shoestring. There were haunted houses with brains made out of spaghetti and a first communion party with 75 people for Colleen with Pat making all the food herself. She was a homemaker for several years, but in 1987 she began working as an Administrative Assistant at St. Joan of Arc. Pat was a nurturer through and through. 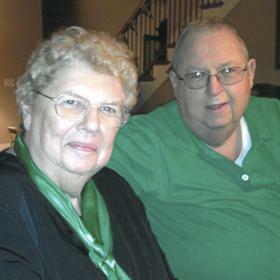 She was an amazing caregiver while Jim valiantly fought cancer. In fact, she willingly gave everything she had even though it meant depleting herself in the process. Exactly one year after his death in 1998, Pat was diagnosed with leukemia and then later breast cancer.  She underwent a lumpectomy, surgery, and radiation. Pat faced all of this with quiet strength, graceful courage, and unwavering positivity. 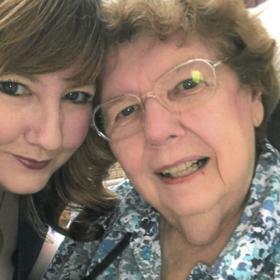 After retiring in 2004, she took care of her husband’s mother and her sister-in-law, facilitating their caregiving to make sure they had everything they needed. In 2008, she had a home built in Michigan across from Colleen and found great joy in helping raise her grandsons Luke, Ryan, and Zachary, and her granddaughter, Anelise. It has been said that Pat was the proudest grandmother around. With the desire to bless her family, Pat purchased a home on Indian Lake in Vicksburg in 2011. They even had a pontoon for fishing and tubing as well. Pat loved decorating the lake home and hosted several gatherings for family and friends. Some of the memories her family treasures most were made at their lake home. There was no one who met Patricia McEneany and left unchanged. She was a memory keeper and a memory maker who wanted everyone she touched to be blessed. Pat had a sort of intuition that allowed her to genuinely help those who were hurting, and she would do whatever she could for anyone and everyone. The differences she made in the lives of others could be small, but everything she did had a significant impact. 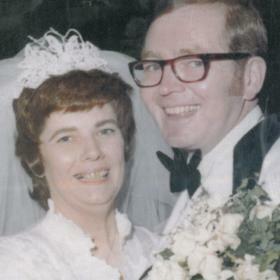 Pat and her husband were true soul mates who complimented each other in every way. The rock of her family, Pat leaves behind a priceless legacy that her loved ones will proudly carry on in her footsteps. 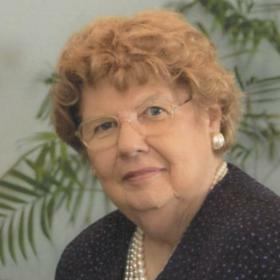 Patricia McEneany, of Portage, passed away October 4, 2017. Pat’s family includes her children: Colleen Roemer and Kevin McEneany; daughter-in-law, Angel McEneany; seven grandchildren: Luke, Ryan, Zachary, Anelise, Alyssa, Nikki, and AJ; brother, Jim (Sue) Kane, and many dear godchildren, nieces, and nephews. Patricia was preceded in death by her parents; husband, James “Jim” McEneany in 1998; son-in-law, Tony Roemer; infant grandchildren, Francis and Therese; sisters, Dorothy and Eileen; and her brother-in-law, George. Visit with Patricia’s family and friends on Sunday (Oct. 8) from 4-7 PM at the Betzler Life Story Funeral Home, 6080 Stadium Drive, Kalamazoo (269) 375-2900, where a prayer service will be held at 6:30 PM that evening. Mass of Christian Burial will be celebrated on Monday at 11 AM at St. Catherine of Siena Catholic Church, 1150 W. Centre Avenue, Portage with viewing starting at 10 AM. A luncheon will follow the service at Jac’s Cekola’s Pizza in Portage. A committal service for Patricia will be held on Tuesday (Oct. 10) at 11 AM at the Holy Sepulchre Cemetery in Alsip, IL. Lunch will follow the committal service at the Royal Palace in Alsip. 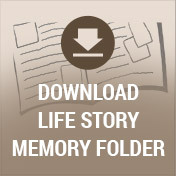 Please visit Patricia’s personal memory page at www.BetzlerFuneralHome.com where you can share a favorite memory or photo and sign her online guestbook before coming to the funeral home. Memorial contributions may be made to the Patricia McEneany Education Fund, checks payable to Colleen Roemer.